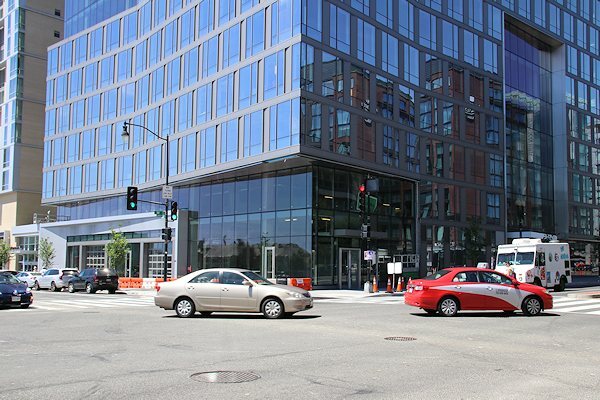 June 16, 2018 - Looking down 1st Street SE from M Street, where at last 99 M dominates. Excavation began in late October 2015 for this 233,000-square-foot office building project, and the building opened its sidewalks in summer 2018. The neighbors are the F1rst/Residence Inn buildings. Sept. 30, 2018 - And looking at 99 M from the east on M Street. March 17, 2019 - Circa's signage and impending outdoor seating area. 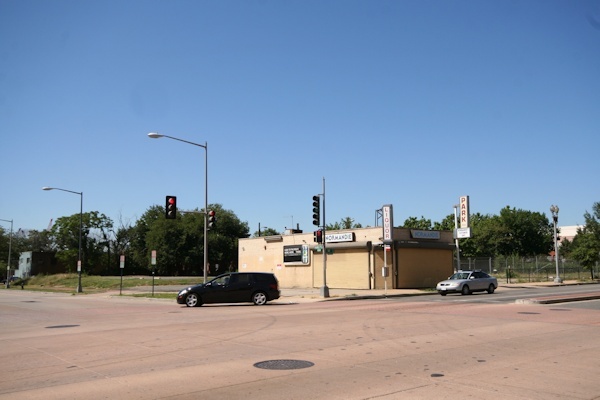 March 17, 2019 - And Circa's tacos-and-tequila sibling, El Bebe, next door. March 17, 2019 - A peek at the interior of Circa a few weeks after it opened. The southwest corner of 1st and M, a little changed. June 16, 2018 - The building's M Street entrance. Jan. 6, 2019 - The building's first retail tenant, coffee shop Bluestone Lane, opened in the fall of 2018. In early 2019, it was announced that Wells Fargo would be opening an "express center," filling the building's last empty retail space. March 17, 2019 - The same location, with 55 M Street looming across Cushing Street at right and excavation on 99 M underway. A Skanska rendering of the roof at 99 M.
July 8, 2018 - .... But Normandie was demolished in early February 2008. The site became a parking lot for a long time, and is now looking very different.